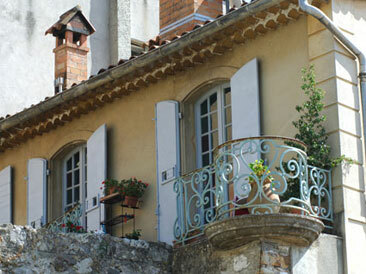 The address you chose is situated in the du Portugon Street, a tiny alley in the middle of the Old Town of Biot. Number 21 of this lane is where to find "La Maison en Couleurs" - the "House of colours". Your residence for spending some carefree days you're not going to forget! Yes, you've read correctly: It's about colours - red, blue, green and yellow, to be exact. After completely gutting the old building, for compartments in traditional provencal style were created on multiple floors. Which makes it hard for the guests to decide which appartment to choose: Country style (red), Empire style (blue), the style of Louis Phillip (green) or Wilhelminian style (yellow)? Whatever your choice may be - you're surrounded by distinguished ambience in any case. Diving into the vivid streetlife in the alleys of the Old Town, the spirit of this historic place will capture your heart. And in no time you will discover the beautiful surroundings and multiple ways to relax - seaside or countryside. 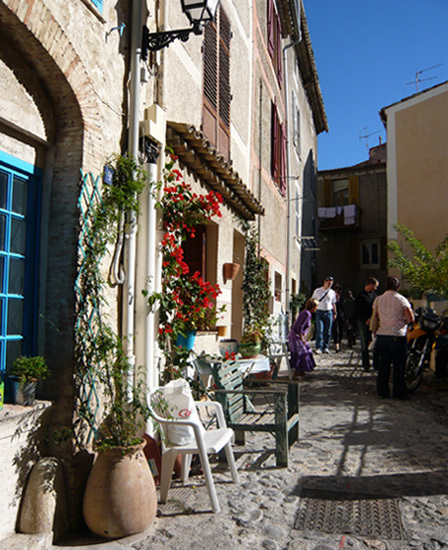 And after all you will be convinced: Biot really is the gem of the Côte d'Azur!